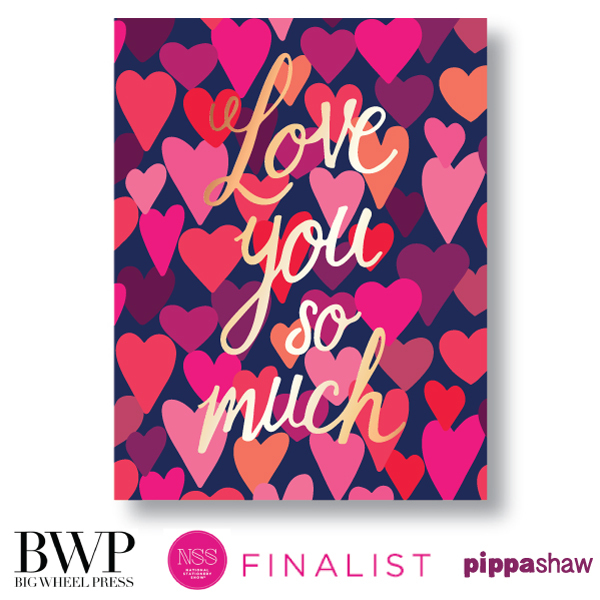 Pippa's gorgeous Valentine's card for Big Wheel Press has been selected as a finalist in the NSS 'Design our Valentine's contest'! The judges were looking for a Valentine’s Day-themed design that is wholesome, tender and romantic for the traditional category. The design incorporates beautiful rose gold foil lettering and is also available as an 8x10 print.